You may notice that a reoccurring theme in this blog is the discussion of the science that goes into developing effective skin care technology. The reason for this motif is Lira Clinical’s focus on remaining on the forefront of innovation in the cosmetics industry. After all, skin care without transparent scientific data backing it up is essentially a return to the days of traveling snake oil salesmen. And in the vein of transparency, this week we will be dissecting one of the most effective skin care ingredients available today: Retinol. Retinol is a form of vitamin A that can be derived from several enzymatic processes. 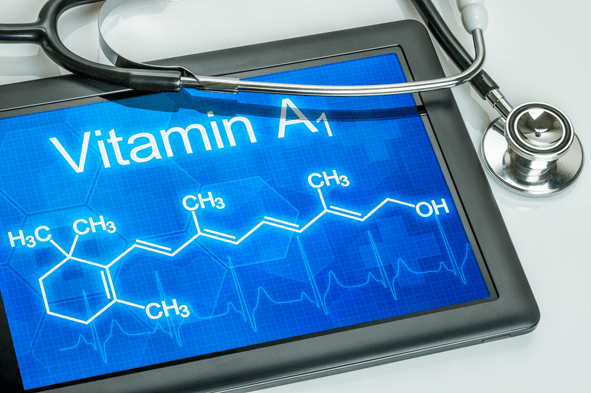 Vitamin A has been used in various forms in skin care for a very long time, but when it is changed into the form of Retinol it has been found to be the most beneficial. This is because Retinol is the most reactive form of vitamin A available that is still 100% safe to apply to your skin. You can even find naturally occurring Retinol in beta carotene. Retinol has a particularly small molecular structure giving it the ability to penetrate skin easily and produce noticeable results more effectively. In order to stay taut and wrinkle-free, your skin’s molecular structure must be constantly repaired to combat the negative effects of the various pollutants that you come into contact with every day. Retinol greatly assists the functions in your skin that repair its structure by invigorating the reproduction of cells at the stratum germinativum, which provides the rigidity of the epidermal layer. As Retinol is stimulating the production of these cells, it is also simultaneously stimulating the production of collagen, one of the building blocks of your skin. As if these two functions weren’t enough to convince anyone of the power of Retinol, it is also an antioxidant, fighting against the debilitating effects of any free radicals. Find out for yourself how effective the proven science behind retinol can be by trying any of the various retinol-based products offered by Lira Clinical! Try the Pro C4 Retinol Serum with PSC or the Pro Retinol Crème for both anti-aging and acne related skin problems and start to experience the amazing benefits of modern skin care technology!